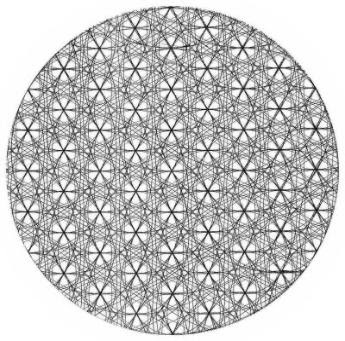 Sacred Geometry is an endlessly fascinating subject. When you see it shimmering all around you and become attuned to the ultimate and absolute perfection of form expressed in these constructs, you shift into the Superconscious Zone. Read more about it here. Additional info at Valerie Phillips's DNAalchemy.com. 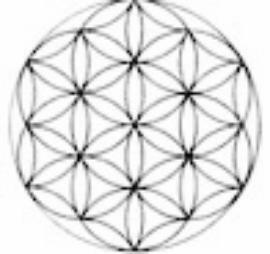 The study of sacred geometry dispels once and for all any lingering belief that Life may have begun as a series of random events. The precision and perfection of the mathematics alone make it self-evident that an unfathomable cosmic intelligence resides within every atom. I have a question- is the image copyrighted, and may I use it in my own blog, and writings, teachings etc? As a practising solipsist who knows that various aspects of myself invented everything (even copyright & usury), I believe experience, knowledge & wisdom exist only to be shared. So please go ahead... and if you click on the embedded links you'll get even more more info. *Anyone who has invented something wonderful - whether it be new music, new software or new hardware - deserves not only thunderous applause wherever he or she goes, but also lots of goodies & cash thrown at him or her for at least 10 years - or until his or her ego is sufficiently gratified. Then the invention ought to be given over to the public domain.